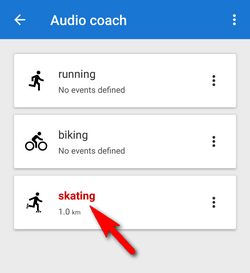 Audio coach comments your performance during a workout or a trip with voice notifications of your actual or average speed, distance, pace, elevation, heart rate and many other parameters. 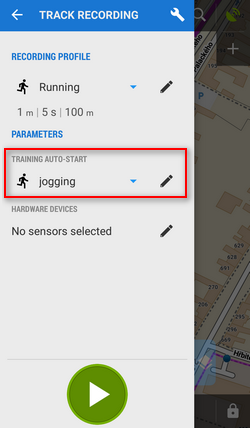 It works with training schemes that are defined by the user and triggered together with track recording. 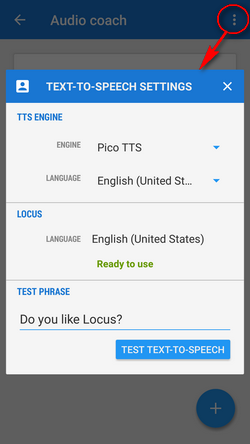 If you have a Locus Pro version, you can define training schemes for any type of your sports activity. 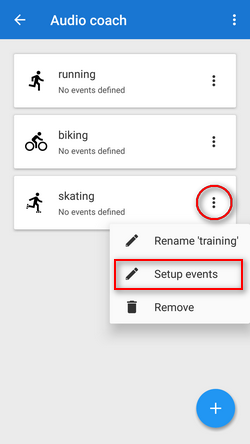 tap and insert name of the training scheme. Change the icon if necessary. 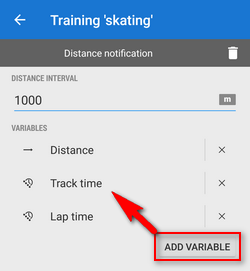 define the distance or time interval of notifications and add variables - distance, track time, pace, average speed, elevation, heart rate, cadence (if proper sensor is connected), battery % and energy consumption. 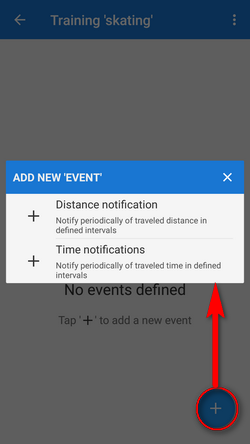 All variables are available also in interval (lap) versions. 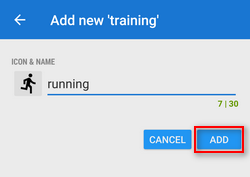 You can combine both types of intervals - distance and time and assign different variables to them and tailor the training scheme to your personal needs. 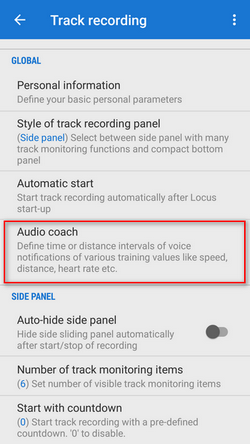 You can choose any track recording profile, the Audio coach will comment any of them with the same training scheme. 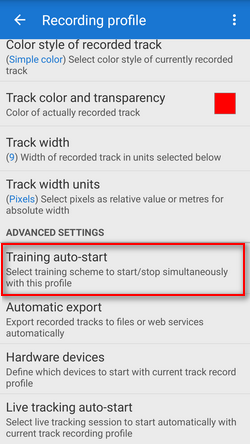 It is possible to join a particular training scheme to a particular recording profile and start both at once without further setting. 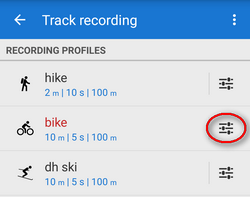 select recording profile, select training and press START. 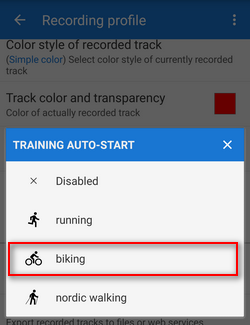 The training will stay assigned to your selected recording profile for future use.